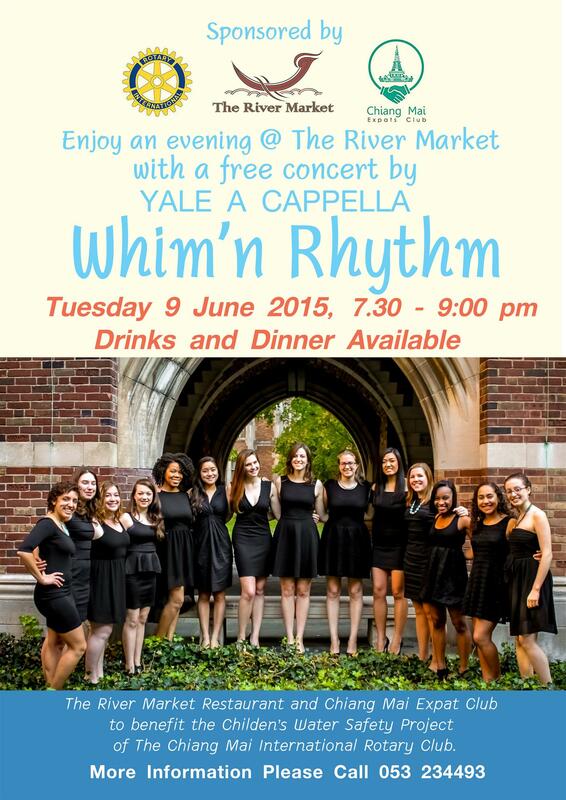 On June 9, 2015 our regular meeting will be replaced by a concert by Whim 'n Rhythm which is open to the public. Admission is Free. The River Market only asks that you enjoy your dinner and perhaps a drink wihile enjoying the music. Chiang Mai International Rotary will On the occasion of this concert we will ask for donations for our Children's Water Safety Project.